How often have you wished you could look younger, happier, healthier, or even smarter? A smile makeover can make it happen. Every smile makeover created at Bedminster Family & Cosmetic Dentistry is customized to your oral health needs. What Does Your Unique Smile Makeover Look Like? Restorative dentistry: To prep some smiles for cosmetic improvements, the foundation must be solidified first. If your smile is broken down in any way, it’s essential to build it back up. This may include treatments such as robust porcelain crowns, permanent dental implants, gum disease treatment, tooth-colored fillings, or strong dental bridges. The perk of these restorations is that they not only correct your oral health problems, they beautify your teeth too. Every restoration is natural-looking so it blends with your tooth color and complements the other dental work you have done. 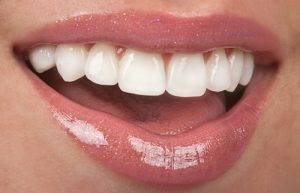 Cosmetic dentistry: When you undergo a smile makeover, you expect to walk away from your Bedminster dentist’s office with a brand new smile. 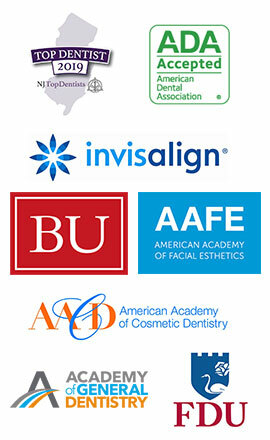 Cosmetic dentistry is a major part of this success. Procedures like flawless porcelain veneers, vibrant teeth whitening, and impactful dental bonding give you those gorgeous, white teeth, as good as any celebrity’s shining grin. Plus, you can get a preview of your smile design thanks to modern technology. Seeing what your new smile will look like is some of the best motivation you can get. Orthodontics: Straight teeth are a desirable trait, especially in a society where appearance, let’s face it, matters. If you want to straighten your teeth discreetly and are willing to dedicate yourself to a proven successful orthodontic treatment, Invisalign may the best choice for you. This treatment takes time to complete but, in the end, not only are your teeth straight but they are in alignment, which means there is no pain, teeth are easier to clean, and oral health is given a major boost. Facial rejuvenation: A smile makeover can make you look younger. When completed in combination with facial rejuvenation procedures like Botox or Juvederm, you can knock years off of your appearance. Adding volume, minimizing fine lines and wrinkles, and getting a perfect smile? Now that is a powerful trio. Of course, a smile makeover makes you look great, but many people underestimate the mental and emotional perks a new smile can provide. A smile makeover helps you become the best version of yourself by contributing to how you feel about yourself and how you behave. If your confidence or self-esteem is lacking because you’re embarrassed by the appearance of your teeth, a smile makeover can change that. When you’re proud of your teeth, you’ll find yourself smiling more, speaking more, and not being afraid to make your presence known. This kind of self-belief can turn the major parts of your life in a positive direction. With an outstanding smile you are more likely to excel at work and have a more enjoyable social life. You will feel like a new person, which can rejuvenate existing relationships and get new ones off on the right foot. Only good things come from a smile makeover. Find out what dental procedures are right for you. Contact Bedminster Family & Cosmetic Dentistry to schedule your consultation with Dr. Mike Mavrostomos. Don’t just daydream about your new smile, make it happen.